Somerset Maugham's 1919 novel, The Moon and Sixpence, the saga of an English stockbroker who abandons his family to become an artist and live out his years pursuing his passion in Tahiti, was loosely based on the life of French Post-Impressionist artist Paul Gauguin. 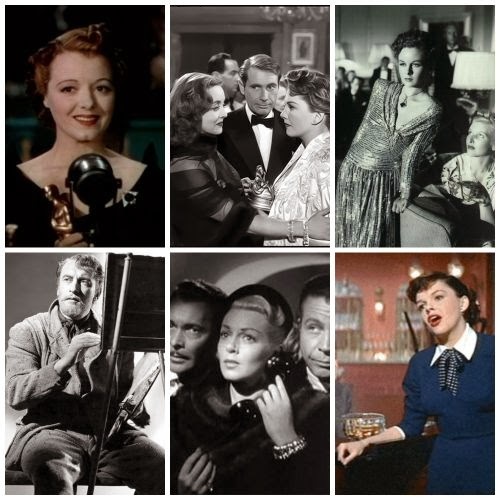 The novel was adapted to the screen in 1942 (starring George Sanders), served as the basis for an opera of the same name in 1957 and made its way to television in 1959 with Laurence Olivier in the starring role. F. Scott Fitzgerald, who toiled as a Hollywood screenwriter during the last years of his life, based his final, unfinished (in his lifetime) novel, The Love of the Last Tycoon (aka/The Last Tycoon) on Irving Thalberg's rise to power and his struggles with Louis B. Mayer at MGM. 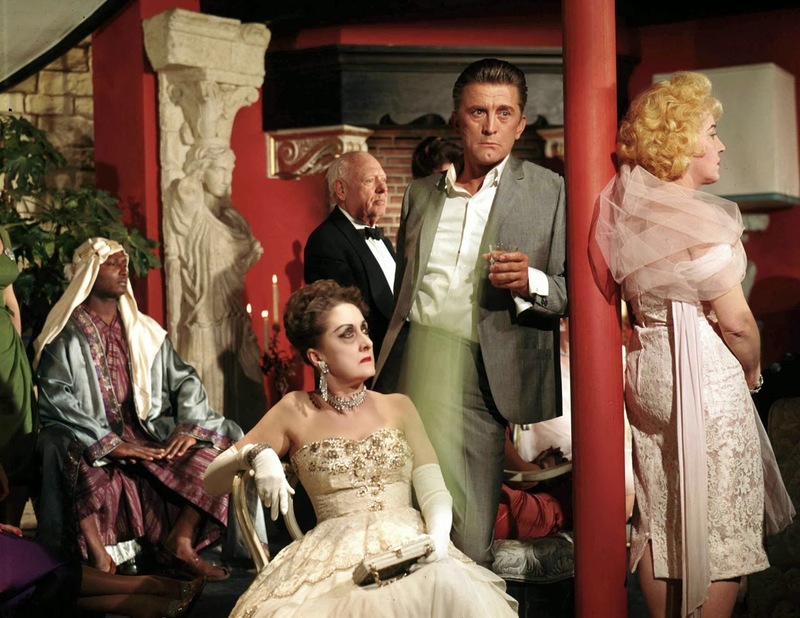 Elia Kazan's 1976 film, The Last Tycoon, was adapted for the screen by Harold Pinter and starred Robert De Niro and Robert Mitchum. In 1976, Truman Capote's blistering short story, "La Côte Basque 1965," appeared in Esquire magazine with devastating fallout for the diminutive writer/café society doyenne. Those whose lives he'd barely veiled were the cream of New York society, and he was instantly and permanently ostracized from their circle. A few years later, in 1985, Dominick Dunne wrote a best-selling novel, The Two Mrs. Grenvilles, using the Capote debacle as a jumping off point for his own very fictionalized account of one of the most sensational stories alluded to in "La Côte Basque." 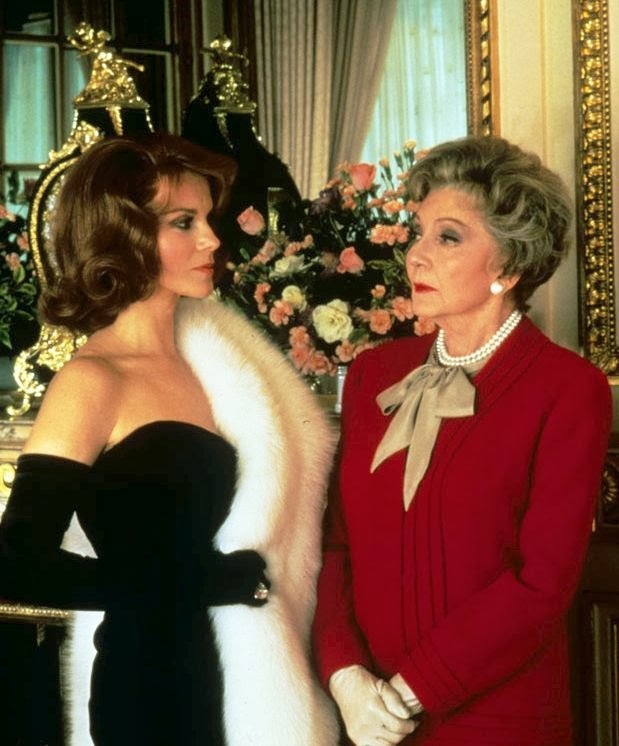 Dunne's book was adapted to the small screen in 1987 and starred Ann-Margret and Claudette Colbert (in her final onscreen performance, for which she won a Golden Globe). 1996 brought Primary Colors, a tell-all political fiction by Joe Klein that was brought to the screen the following year by Mike Nichols and featured John Travolta doing a recognizable impression of Bill Clinton as he portrayed "Jack Stanton." Sounds great! Looking forward to it. I remember reading THE MOON AND SIXPENCE back in the 70's. I saw "The Moon and Sixpence" a few months ago on TCM - it had been a long time since I'd seen it and I'd half-forgotten the color sequence at the end. I'm not sure if I've read the book, though I used to read a lot of Maugham. Thanks, Jacqueline, the idea came as I was reading "Two Weeks in Another Town." This is a wonderful idea and I'm really looking forward to your posts. Yes, Eve, Truman Capote really stepped in it. How about Orson Welles and "Citizen Kane" (William Randolph Hearst)? To tell you the truth, MCB, even though the "Citizen Kane"/Hearst connection fits, it's been done too many times already. And Capote...he never recovered from the publication of that short story and being cast out of high society. Well, he was never really in it, more a court jester than anything, I imagine. So Roman A. Clef isn't a person? Seriously, this topic sounds intriguing and I am definitely looking forward to it. I love your picks! Another interesting one is ROPE, which is surely based on the Loeb-Leopold case. Perhaps you were thinking of Roman Polanski or Roman Castevet, Rick. "Rope" definitely qualifies as a roman à clef in relation to the Leopold/Loeb murder, which certainly served as inspiration. Not something I'd want to spend much time researching, though, as the actual case is awfully grim/sick. I agree. Someday, though, I might write a comparison of COMPULSION and ROPE, though. Brilliant idea Lady Eve. The movies always mashup the stories, even when they are based on a nonfiction book. But then again the more recent novelists tend not to admit to any connections to real persons (or their publisher's lawyers won't let them). Will we be guessing? Thank you, Christian. I don't know whether you'll be guessing or not, but there may be a surprise or two. Patty - your themes are always so elegant and intriguing. I look forward to your marvelous posts! Thank you, Marsha, hope you enjoy the series. I love your idea for a series about roman a clefs (I don't know how to type the little thing on top of the a!) I love The Moon and Sixpence, and I wish I had been able to see Olivier do the role on TV. I wonder if it is anywhere to be found? Looking forward to more! Becky, I've been wondering about the Olivier version, too. No luck trying to find it on YouTube, but it may be out there somewhere. Of course, I love George Sanders and as they say, no one could play a cad any better than he. This is going to be great! I'm really looking forward to this. Roman à clefs are practically irresistible, no? They definitely have their appeal!